To establish a self-perpetuating foundation that will assist District 6 students and schools in the areas of scholarships, extracurricular activities, capital improvements and human needs. The main emphasis is in the area of scholarship; the goal is that every graduating senior from Crater High School who applies for scholarship assistance receives money for college tuition. The Crater Foundation is a non profit organization established in 1992 to assist students in School District #6. The Crater Foundation provides scholarship assistance to every graduating senior from Crater High School who applies for one, provides scholarship assistance to students continuing their education (after completing at least one year of college), provides financial aid to students and families in need, supplies funds to purchase necessary items such as coats, shoes, school supplies, and classroom materials. Additionally, the Crater Foundation assists the district in funding special building projects and athletic facility improvements. All funding comes from individuals, families, businesses, organizations, alumni, and district employees. Finally, the Foundation supports an alumni association and mails a newsletter three times a year to approximately 9000 alumni. 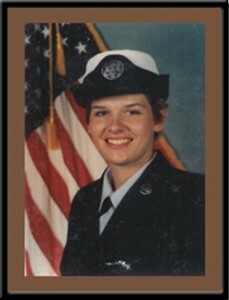 In 1991 Laurie Lucas, a 1990 Crater High graduate, died in a tragic non-combat accident while serving in the United States Air Force. Upon her death, her family donated $4000 to Crater High School for the purpose of establishing a scholarship fund for a graduating Crater High Softball player. The generous donation inspired a small group of volunteers to create an organization to support District 6 students by securing donations from community members, businesses, and families. In 1992 these volunteers applied and received Non-Profit status and the Crater Foundation was born. In 2004, the Crater Foundation changed its bylaws to accommodate the growing demands of the Foundation. The Crater Foundation finds its home in the halls of Crater High thanks to the efforts of District 6 and Crater High School. Since its inception, the Crater Foundation has awarded over $4 million in scholarship assistance to more than 4000 Crater High graduates. The Crater Foundation is governed by an eighteen member Board Of Directors. Each member serves a three year term, with six terms expiring each year. The Crater Foundation’s role in District 6 has expanded over the years to include an array of support beyond providing scholarships to Crater High graduates. The Crater Foundation has provided for students and families in District 6 with financial needs, including clothing, school supplies, and food. The Crater Foundation, the Central Point Rotary Club and the Jackson County New Car Dealers partner together yearly to provide school supplies to every kindergarten student entering School District 6. The Crater Foundation provides funds to each school in the district every year to be used for students. These schools identify students in need and provide them with assistance. The Crater Foundation played an instrumental role in coordinating the fundraising efforts to install a new artificial field for Dutch Meyer Stadium. We raised the necessary funds of $850,000 to turn this dream into a reality! We have also sponsored the radio broadcasts for sporting events. The Crater Foundation provides a barbecue trailer for Project Graduation, which raises money for students to go on a safe, alcohol and drug-free senior trip to Six Flags in California following graduation. The Crater Foundation is recognized by the State of Oregon as a non-profit organization and has tax–exempt status under IRS section 501(C)(3). The Foundation tax identification number is 93-10761-30.